Preparations for the Asia Media Summit 2011, which will be hosted by the Voice of Vietnam (VOV) in Hanoi from May 23-25, 2011, are going smoothly and Hanoi is ready to welcome delegates from around the world to attend this important intellectual gathering and the biggest media event in Asia-Pacific. AIBD Director Yang Binyuan paid an official visit recently to Hanoi to contribute for successful preparations of the Asia Media Summit 2011. The visit was very fruitful as it finalized most details of the AMS 2011 and provided an opportunity for AIBD and VOV to strengthen bilateral cooperation in the future. On 25th March 2011, the members of the AIBD family took the opportunity to wish two colleagues who completed their tenure of office as Programme Managers. Mr Yang Binyuan, Director of AIBD, thanked the two colleagues Mr P Das, and Ms Juliette Vivier for their excellent contributions to AIBD over the last few years and said, “ We, at AIBD never says goodbye to colleagues who have rendered their services. Once one serves AIBD they will always belong to this small family of AIBD, no matter where they are ”. He presented each of them with a souvenir and a memoir with the staff members penning their individual wishes and expressing their sentiments. Category Humanity for the "Best documentary contributing to conflict resolution"
Category Science/Environment for the "Best programme Protecting Ozone Layer and Combating Climate Change"
The deadline for submission of Abstract is now extended to 25 April 2011. The Presentation of the Winners of the AIBD TV & Radio Awards 2012 was conducted at the Inauguration of the AIBD General Conference in Kathmandu, Nepal on 25 July 2012. The winners were each presented with a certificate, trophy and USD 500 as reward for their special programmes. The trailers for each programme were also presentated to the AIBD members and affiliates in attendance. Mr Cai Fuchao has been appointed as new minister of the State Administration of Radio, Film and Television (SARFT) in China. One of Beijing's deputy mayors and head of the city's Publicity Department, Cai Fuchao, 60, replaces Wang Taihua, who had held the job for the past six years and oversaw rapid growth of the Chinese film and TV business. Cai Fuchao has worked in a number of media positions, including deputy chief editor of the Beijing Daily newspaper. He was instrumental in the switch from analogue to digital TV, which began in Beijing and now on pilot in a dozen of Chinese cities. The 37th Annual Gathering and 10th AIBD General Conference & Associated Meetings will be held in Ulaanbaatar, Mongolia from July 25-28, 2011. It will be hosted by the Mongolian National Public Radio and Television (MNB). AIBD Director Yang Binyuan recently paid a visit to Mongolia to finalize the preparations of the GC. AIBD Director Yang Binyuan visited MNB headquarters in Ulaanbaatar and met with Mr. Naranbaatar Myanganbuu, General Director of MNB. Bigger projects can only be finsihed in time with manpower. This rule applied for the AIBD website as well and that was the way, Ms Mpho Thebe found her way to us. She is a student of Mass Communication at the Limkokwing University and spent almost 3 months as an intern at AIBD. [img_assist|nid=1263|title=|desc=|link=none|align=left|width=200|height=83]The MediahubTM (www.mediahubaccess.com) operates as a bridge between leading content owners and emerging broadcasters to access and acquire fresh, attractive, and relevant content. It serves as a show window to market your programs to the international market in a cost-efficient manner and highlight innovative educational programs that contribute towards people development and enlightenment. As an AIBD member and content user, you will enjoy free access to the MediahubTM. 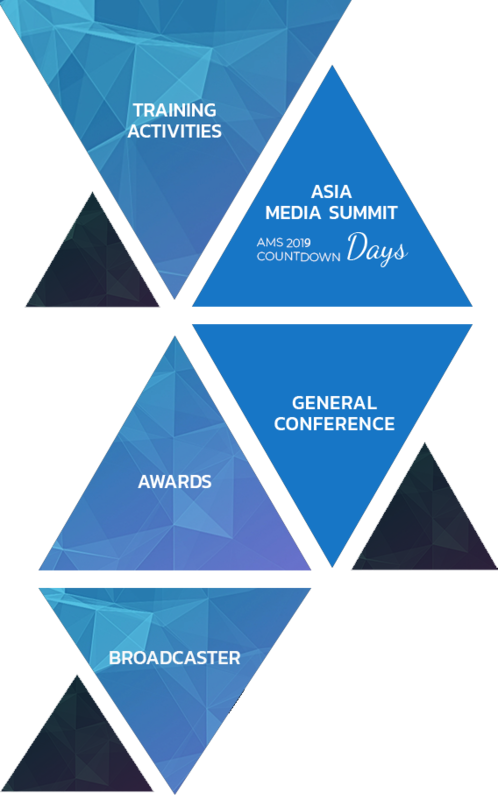 The Asia Media Summit 2011, organised by the Asia-Pacific Institute for Broadcasting Development (AIBD) and hosted by The Voice of Vietnam (VOV) will be held at Melia Hotel, Hanoi, Vietnam, from 24 to 25 May 2011.